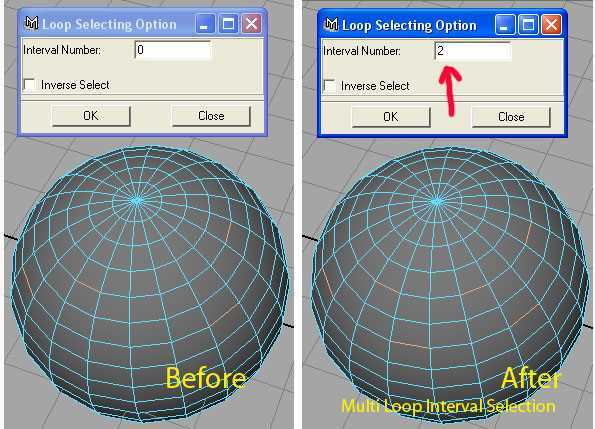 I just got little bit time to fix all broken links in my old 3D Maya MEL tools articles, which I wrote in 2005 and repost on 2008. My MEL tools got A+ score when I studied in 3D Animation (but I am also a professional software developer). 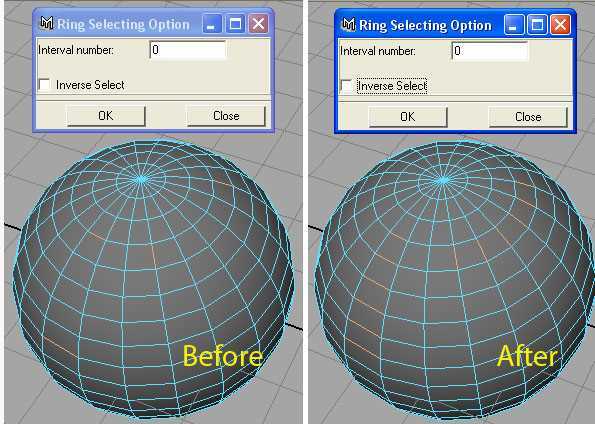 Maybe they are too old but I also know some 3D guys are still need those old MEL tools, so today I fixed broken links. Sorry I did not update my Maya Tools long time. 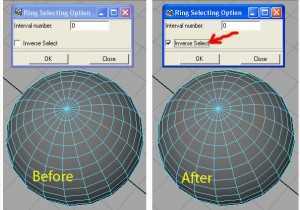 Today I come back to fix the broken links in all my old Maya Tool Blogs. I might find spare time to learn newer Maya and maybe update my tools if I think it is necessary, but I can not guarantee I have time soon. When I did my Demo Reel in the Seneca College, I found I had to rig characters again and again. 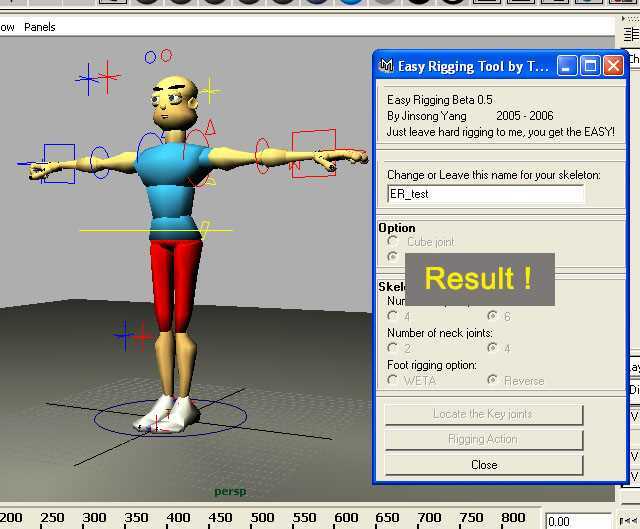 For me, rigging is a boring works, and hard. 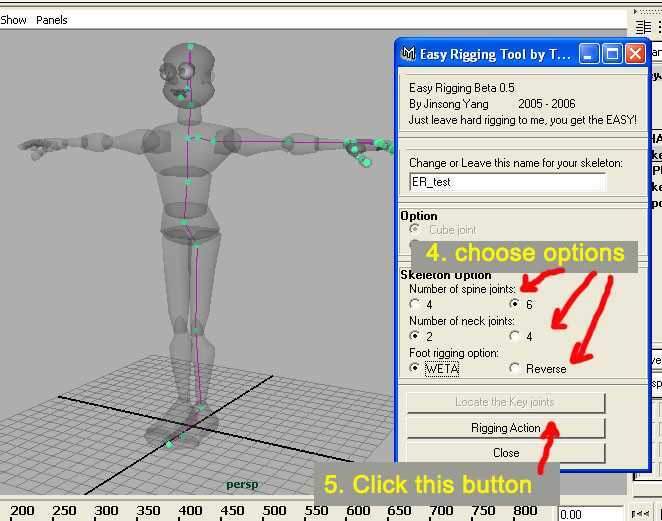 I tried to find some rigging tool for my characters. I used Final rigging, advanced skeleton tool, but I found they were all too complex for my own characters, and, I found if I wanted use them, I had to spend more time to learn how to use them correctly. These were not what I wanted. 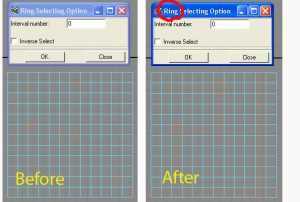 So, I thought, why I did not write my own Rigging tool so that I can use it and control it easily? 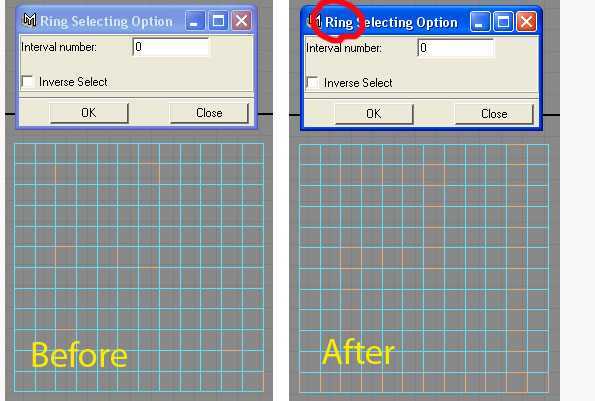 Then, Easy Riggint Tool was born. My teachers Mr. Martin Mayer, my classmates and good friends Eric Stinnissen, and Martin Geiger gave me lots of helps and directions. Thanks them very much! Anyway , today I can find a chance to publish it! I am happy. If you have more questions, pls give me Email or ask Martin Geiger and Eric Stinnissen directly. I think they are more professional on rigging. This MEL plugin was created in 2005, June. I just move my weblog here. I like MJ Poly Tools. I think it is great. 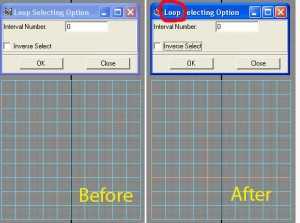 It is very useful when I do modeling. One day I asked my MEL teacher Mr. Martin Mayer to give me some suggestions for my MEL studying. 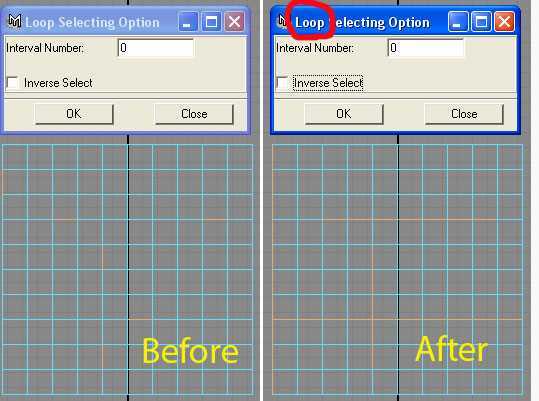 He told me I can design and make some custom selections tools, because MJ Poly Tools doesn’t has these functions. 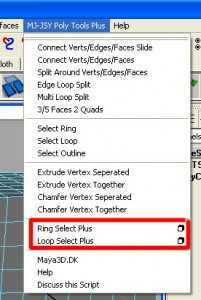 For example, it just can select entire ring or entire loop. Thanks Martin, I think it is a very good idea, and then, I can get more contents for my graduate Demo Reel. There have been newer version out. please read the detail. 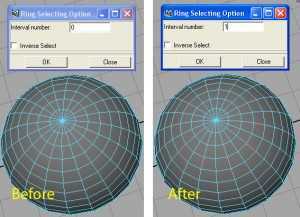 Today I finished to fix several bugs of my previous improvement version on MJ Poly Tools 1.3. I almost re-write all my code for these bugs. 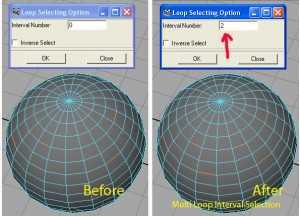 The original creator of MJ Poly Tools replied me, I can published it freely. And I named the new version “MJPolyTools (JSY) 1.5“, ” (JSY)” is me. Later I will find time to add my script into the OMT. But I can not find time recently, I have to do my assignments for my graduating Demo Reel for my studying and that my teachers assigned. If you find the inverse functions can not work sometimes, that’s because some components of objects that Maya created (i.e the index number of Vertexes and edges are not on a regular order sometimes. 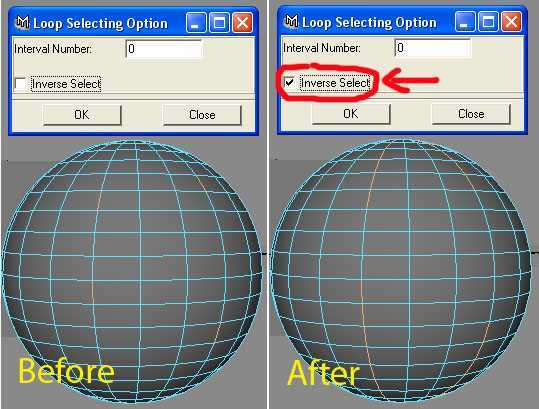 if you check several index numbers on a sphere bottom including the bottom top vertex, you will find it). 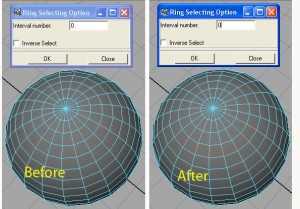 I can not find a way to resolve this problem now, and I don’t have more free time recently. 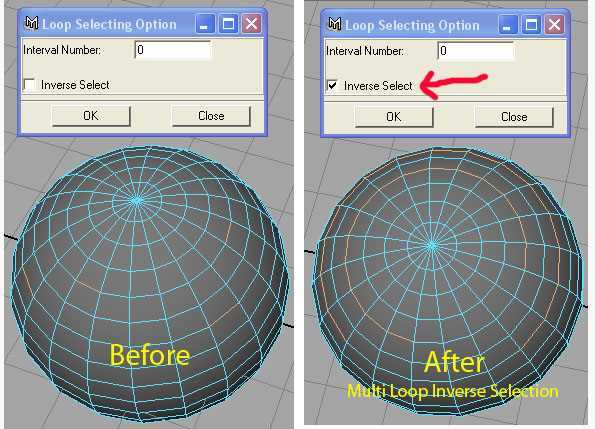 But you can choose the “inverse ” option to resolve it sometimes. 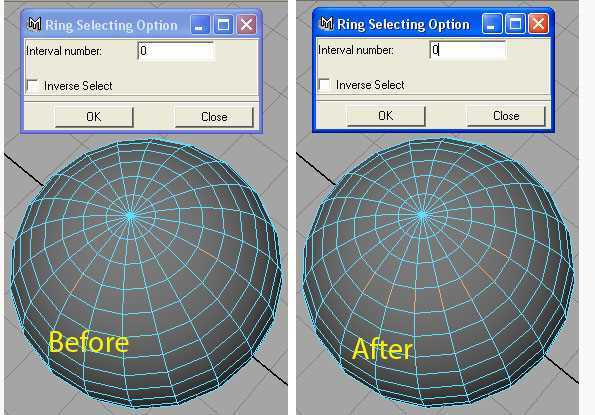 The following are some illustrations for the new functions I did based on MJ Poly Tools 1.3. And I passed the testing under Maya 6.0.1. The menu items I added. 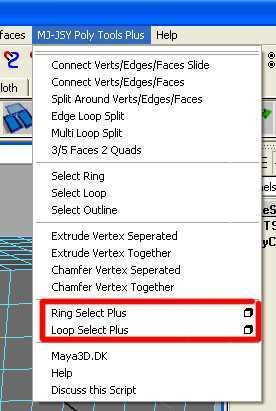 I will publish the new tools later, right now I am waiting for the reply from the author of MJ Poly Tools, I asked him give this tools a new name. If you guy like those functions mentioned above, and you know my Email Address. Just Email to me. maybe I will send you this new version before I get the new name. If you are my classmate of Seneca College, sure you can get it , maybe tomorrow. Please wait, my blog moved and moved, so I have to find a way to put my tools and let you guys download for free. I modified it base on the tools that teacher provided. It can slide transparent object. The difference is mine can be minimized and maximized. It is more convinient when you modeling. 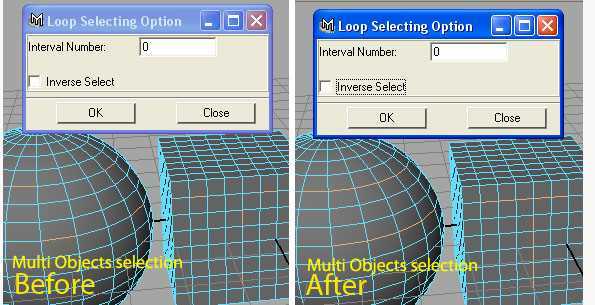 Because the old one always display on the top screen, you have to move it frequently when you modeling if your screen is not wide enough. It can be placed in any folder. After download, you must use Unzip tool (ie: winrar) to unzip it. 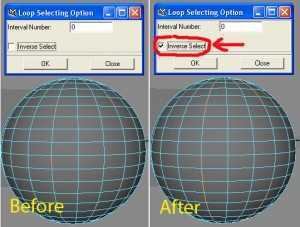 I’ve got microsoft visual c++ .NET 2003 (v7.1), so, does anybody can link me a tutorial to develope my first .mll? 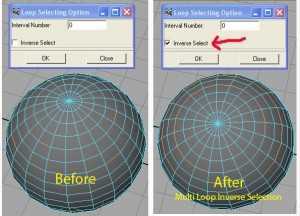 I don’t need programming hints, only how to configure Visual C++ and maya! 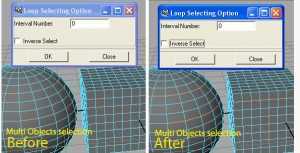 add “C:\Program Files\Maya6.0\lib” to library files. Probably somethings missing, so if you find something to add, please feel free to do it. It does not matter which one you install first. I did a fresh install a couple of days ago, first VC++.NET and then Maya. Mayas installation did not alter any of the General Preferences in VC++.NET, so I had to add the stuff I mentioned under General by hand. 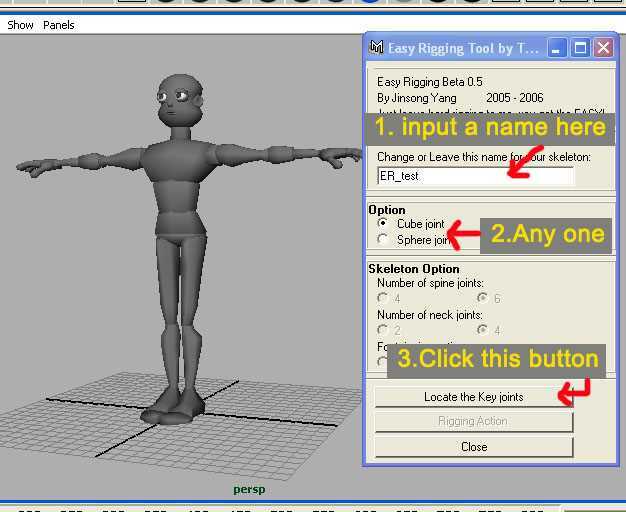 In the “C:\Program Files\Maya6.0\devkit\pluginwizard” directory there is a zip file containing a Wizard for VS.NET and a txt file explaining how to use it. The wizard will take off most of the work that are on a per Project basis. I don’t think that the wizards include all the headers for you, but you might start to feel that it’s a bit easier to include all of them in a central file right from the beginning instead of letting your flow break because you need to add a new include. The printf-like p( “%d text”, counter ); function is also a nice timesaver, you can build variations from it to print errors or warnings or to the output window. The mel code in the shelf is something the wizard will not add for you, but it also saves you a lot of time once it has been set up. In the early days of electronic video production, linear (tape-to-tape) editing was the only way to edit video tapes. Then, in the 1990s, non-linear editing computers became available and opened a whole new world of editing power and flexibility. Non-linear editing was not welcomed by everyone and many editors resisted the new wave. In addition, early digital video was plagued with performance issues and uncertainty. However, the advantages of non-linear video eventually became so overwhelming that they could not be ignored. Although the “linear vs non-linear” argument is often subjective and some editors will disagree with the statements above, there can be little doubt that increasing your skill base is a good thing. There is nothing to be gained by completely rejecting linear editing, and much to be gained by adding it to your repertoire.